Pockets are only so big. Some jackets and to a lesser extent, some pants, have more pockets than you might think the average person needs. With everything you might carry day to day, have you ever thought about adding a flashlight to the mix? If so, this is where the question might arise, what is an EDC flashlight and why would I need one? Like a great deal of the English language today, EDC is an acronym…which stands for “everyday carry”. The light pictured (with the penny) is a good illustration of how small flashlights are these days. A light of this particular size may be more often seen dangling from a key chain. The versatility of such a light is somewhat limited though, and the first thought of someone buying one for this purpose is so they can illuminate a key hole in the dark. If you were to ask a flashaholic what they carry as a EDC, the answer would vary as much as the variety of everyday carry lights on the market! 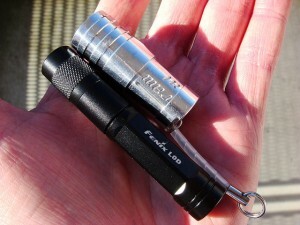 The longer of the two palm-size lights pictured, is an excellent example of what the average EDC light would resemble. About 4″ is pretty normal. However for those who have more than one flashlight that they use as an everyday carry, depending upon size of pocket, they’ll go as long as 6″. Why Would I Need to Carry One? Okay, so even though you’re still reading… you’re not completely sold on the idea yet. 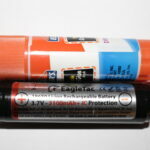 That’s perfectly natural, because outside of the world of flashaholics, the basic need for something as mundane as a flashlight might not seem very important. Perhaps the next paragraph will shed some light (that’s so bad, I know)… on a few situations when they actually might come in handy. Do you ride an elevator everyday? Do you work or live in a high rise building? Do you go out often after dark? Do you take a bus, taxi or subway after dark often? You see where I’m going with this line of questioning right? If you answered yes to at least half, guess what? YOU NEED AN EDC FLASHLIGHT! Because even under the simplest of conditions, you NEVER know what scenario might arise where you’ll find yourself in either low-light, or complete darkness, or have the need to defend yourself in a possibly unsafe situation. 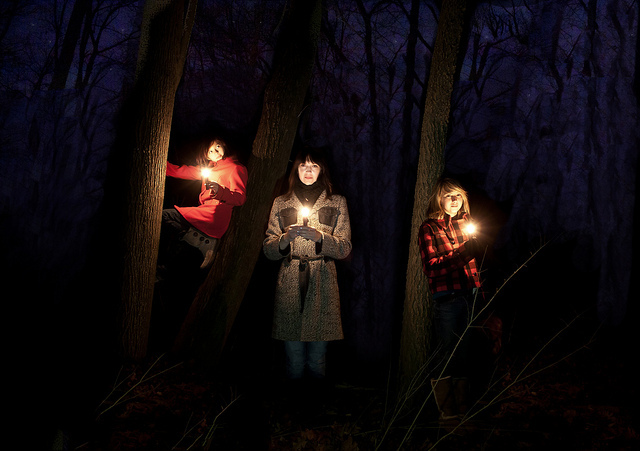 Teenagers and young adults love to have fun after dark. But, what if their fun should turn worrisome? Sure, everyone has a cell phone these days in case of an emergency. But, it’s dark out there!! – and the flashlight apps found on many smartphones, just won’t cut it if you need a light for more than a few minutes. A darkly lit place can turn up at the strangest times. Most anyone who carries a flashlight day to day, myself included, will confess that they have no idea how they used to go day to day WITHOUT one. It’s one of those things that, once you know you have it, you tend to use it. If you decide than an EDC light is for you, a have a friendly word of warning. Without hesitation, I link to online merchants such as Amazon as a means to shop and compare products. There are however a great deal of cheap imitations available on Amazon. If you go to this post you can read about some of the ways in which an uninformed consumer can be tricked into buying a completely inferior product which will not last! Basically, anything you see in an EDC light, that’s LESS than $10…please DO NOT buy! For the most part, NONE of the manufacturers that I recommend make anything that sells for less than $20. The link in this post does not go to Amazon, so if you were to shop from this page, I guarantee you’ll only be looking a products from reputable manufacturers. If you have questions about this…please let me know! I will never steer you wrong. Just know that when you finally join the world of EDC (for flashlights) that you’re now a member of a distinct group who are always prepared, and happy to assist others out of unexpected darkness. 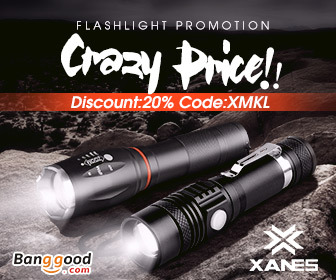 If you’re ready to take a look at some suitable lights for everyday carry, please visit the “Product Reviews“ page at Lightsngear. Please let me know if you have comments or questions regarding this topic. Such a good idea for a website. 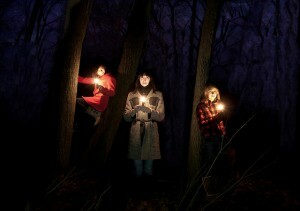 I know there are countless times I wished I had a flashlight with me. Website is looking good. Thanks very much! That’s what I hope the site is doing…is to put the idea in the frontal lobe of your memory!! Cheers! Love this post makes, very well written. I want to go out and get one of these flashlights now. I agree with Virgie! There are many times I wished I had a flashlight. Maybe I start considering having one always with me. Thanks for the info! Thank you. So, the power has gone out where I work a few times…and wouldn’t you know it, I was the ONLY one with a flashlight! It was appreciated too. I don’t know why, but I had an obsession with torches when I was younger. I’m long past that phase now, thankfully. That said, it can be handy to have a flashlight around, but I’ve never had a real need for it as I can generally feel my way around during the night and most of the time I’m indoors long before the sun sets. Thanks for the comment. Your interest in lights when you were younger must’ve been a passing phase at the time. I don’t know how long ago that was, but maybe it was long enough that a second look is in order. Perhaps if you amassed a collection at that time, many of them, although still good, may not be as powerful as those being produced today. Thanks for looking! Very helpful post, thank you for sharing! I wasn’t sure what EDC meant before reading this post. However I actually carry an EDC flashlight with me attached to my keys every day! They are very useful little tools. Thanks for the informative post! Hey thanks for popping in! Yes, the key chain lights can be good in a pinch, and certainly don’t take up much more room than your keys do. Great Post! I don’t think that most people realize how much they would use a flashlight if they had one on them all of the time. The EDC group with be the only people ready if any disasters happen. I agree with you that you do not want to buy the cheapest thing on the market. If you are actually carrying this flashlight with you everywhere it will take a beating. Thanks! 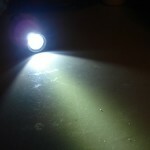 And yes you’re right…a cheap light might not hold up to the daily rigors over time! Key-chain lights are convenient…but most aren’t built for brightness. I have one that I bought from 4Sevens. It’s the brightest key-chain light I have EVER seen! It also has 3 lighting modes on it! Thanks for the question Lora! The answer; is absolutely not! 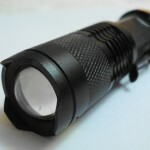 An EDC flashlight is ANY light that can be carried easily, and most if not all, have multiple modes. So in many cases, as with most that I have reviewed on this site, there will be four or five brightness settings. Great post . It is very informational . I think most of the people want to have flashlight but they see that it is not a big issue . But they should learn that how it is important for our daily lifes. And your post show them it’s necessity . thanks again. Thanks for your comment, and your praise Eric! I think when most people are bitten by the “flashlight bug”, they wonder how they ever got along without them before! Today’s tiny lights make EDC so easy. Thanks for visiting. I agree with the others commenting that this is a well put together post. 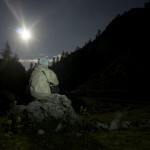 For me, I only until recently have begun to see the full potential of these new and powerful flashlights and the multiple and practical uses they have. When I would go outside to walk my dog at night, I would take an automatic knife for protection but now see that a tac edc light is a better option not only for self defense but also so I can see clearly and that alone provides a deterrent from a would-be attacker. I think I have the “flashlight bug” now, lol thanks for the post! Thanks for the comment Brett! You’ve nailed the essence of the discussion. I can’t think of much more to add, except that your experience is very real, and again, brings to “light” (no pun intended) the convenience and importance of making an EDC light part of your everyday life. If ever you have a question… please don’t hesitate! 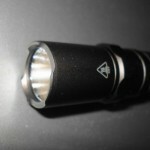 I have Klarus Mi7 edc flashlight and it has almost all features that an edc flashlight should have. Yes, and it’s certainly small enough too! When it comes to every day carry, what comes to me first is portability. My personal choices are surefire titan, sidekick & e series. They are all small in size and light in weight, very durable no doubt.